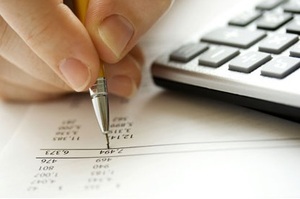 One of the most annoying tasks required by any accounting process is bank reconciliation. Regular bank and credit card reconciliations are necessary mainly for those individuals or companies which are having large amount of transactions regularly. As the money is paid or received frequently it is necessary to verify that all transaction records are consistent with bank statements. Mostly large amount of transaction processing creates complex statements and makes it hard to reconcile all statements. At MCBS we help you to take care and reconcile such complex bank and credit card transactions. We provide quick service for reconciliations with very high level of accuracy and security. We generate a complete reconciliation report for you with detailed reconciliation statements. At MCBS we have all accounting softwares which are commonly available in market and highly skilled accounting professionals to give you the best reconciliation services. Get relief from tedious and complicated reconciliation process by outsourcing reconciliation services to us. Our reconciliation services help you in identifying any discrepancy and ensuring accurate bookkeeping of the accounting transactions. Experience the best credit card and bank reconciliation services at Multi Care Business Solutions and get rid of time and money consuming in reconciliation process. If yours small & medium business is always showing differences between bank statements and what your records currently show, you may be in need of bank reconciliation services. Because bank statements are usually generated every month, it can be difficult in real time to know what your balance is, especially if you have multiple accounts. And for those who own their own business, there simply isn't enough time to constantly check transactions against bank statements.